If you enjoy soft drinks or alcoholic drinks you have probably tasted lime. It is a term that refers to a number of different fruits, generally citruses. They are typically round, 3-6 cm in diameter, and green to yellow in color. They generally have a sour pulp and are frequently associated with the lemon (1). There are many varieties. 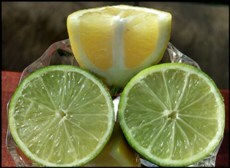 The most common and commercially available are the smaller, yellower Key variety (also known as the Mexican Lime) and the larger, greener Persian. "Key lime" is an American classification, as the original fruit given the name in English was originally called Citrus aurantifolia. The actual term lime was derived from the Persian name limu when it was introduced to Europe during the Crusades. 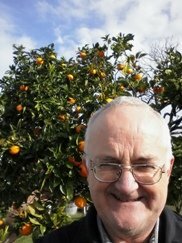 There are several type of the fruit such as Mandarin (Citrus limonia), Kaffir (Citrus hystrix), Australian , Spanish (Melicoccus bijugatus), wild limes (Adelia ricinella), sweet (Citrus limetta), Palestine sweet (Citrus limettioides), and musk (X Citrofortunella mitis). The limequat is a cross between a lime and a kumquat. There is also an Omani lime, which is a small variety that has a very strong flavor and aroma. According to Food and Agriculture Organization of the United Nations (FAO), Mexico produced almost 12% of the global production of lemons and limes in 2005, followed by India, Argentina, Iran, and Brazil. During the 19th century, British sailors were issued a daily allowance of citrus such as limes to reduce the occurrence of scurvy. This is also what led to the nickname "limey" for all Britons. It was later discovered that this beneficial effect was derived from the large quantities of Vitamin C the fruit contains. The fruits extracts and essential oils are frequently used in perfumes, cleaning products, and aromatherapy. They are also used as a reference for the measurement of drug paraphernalia. 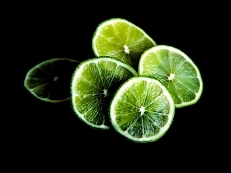 Limes are often used to flavor drinks and pies. The actual fruit and particularly their juice are used in beverages such as limeade (akin to lemonade). Alcoholic beverages prepared with them include cocktails like gin and tonic, margaritas, and mojitos. Caipirinhas and Cuba libres, as well as many other drinks are garnished with a thin slice of this fruit or a corkscrew strip of the peel (twist). Tequila shots are often served with lime wedges and salt. Beer is often served with them in Mexico, as well as in some other countries. 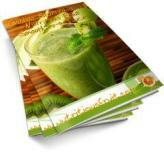 The juice is also used in commercial soft drinks (2), (5). For cooking, the fruit is valued both for the acidity of its juice and the floral aroma of its zest. It is used in Key lime pie, a traditional Floridian dessert. It is also a very common ingredient in authentic Mexican and Southwestern American dishes; both for flavor or as garnish. It is used for its pickling properties in ceviche. In addition, the leaves of the Kaffir variety are used in Southeast Asian cuisine. The use of the dried fruit as a flavoring is typical of Persian cuisine and Sprite. 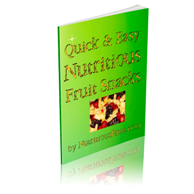 They contain large amounts of vitamin C, potassium, calcium, and flavonol glycosides. Limes also contain small amounts of vitamins A, B6, B12, E, K, folic acid, niacin, thiamin, and riboflavin. Minerals like manganese, copper, phosphorus, iron, magnesium, selenium, zinc, and sodium are also found in them. The lack of a vitamin called niacin causes pellagra, which is a disease characterized by dermatitis, diarrhea, dementia, and possibly death (1). This sickness is common among people who live on corn and little to no protein-rich foods. The problem is that the niacin in corn cannot be metabolized by the body. 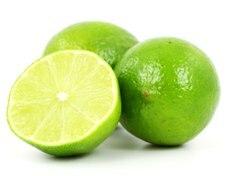 Limes, on the other hand, make niacin more available to the body. The tortilla may therefore be one reason why pellagra is not a common disease in the poor zones of Mexico, except in some areas where it is the custom to rinse the nixtamal to whiten the masa, which washes the niacin away. They are a source of vitamin C prevents scurvy. Scurvy is caused by vitamin C deficiency and can be prevented by consuming 10 milligrams of vitamin C a day (6). An early sign of scurvy is fatigue. If ignored, later symptoms are bleeding and bruising easily. Vitamin C is also is important in collagen formation. Collagen is an essential component for healthy blood vessels because it increases absorption of inorganic iron. Vitamin C has also been shown to have essential roles in the metabolism of folic acid as well as some amino acids and hormones, and acts as an antioxidant (4). Another important result of the addition of the fruit to one’s diet is that it increases the body’s calcium content, Calcium is a necessary nutrient for bones and nerves, among other things. The fruits, in particular its juice, have been used for many years as a contraceptive or vaginal douche. As a result, studies were recently performed to assess whether or not lime juice is an effective microbicide. The results of this study concluded that the juice is only helpful at low concentrations (20%) and may even be toxic at some concentrations (50%) so its use is not recommended as a vaginal douche or contraceptive (3). Hemmerling A, Potts M, Walsh J, Young-Holt B, Whaley K, Stefanski DA. 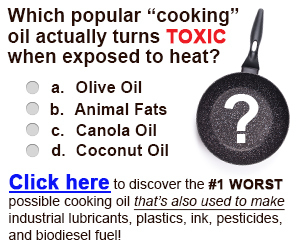 (2007) Lime Juice as a candidate microbicide? An open-label safety trial of 10% and 20% lime juice used vaginally. Journal of Womens Health, 16(7):1041-51. Sun J, Chu YF, Wu X, Liu RH. (2002) Antioxidant and antiproliferative activities of common fruits. Journal of Agricultural and Food Chemistry, 50(25):7449-7454.